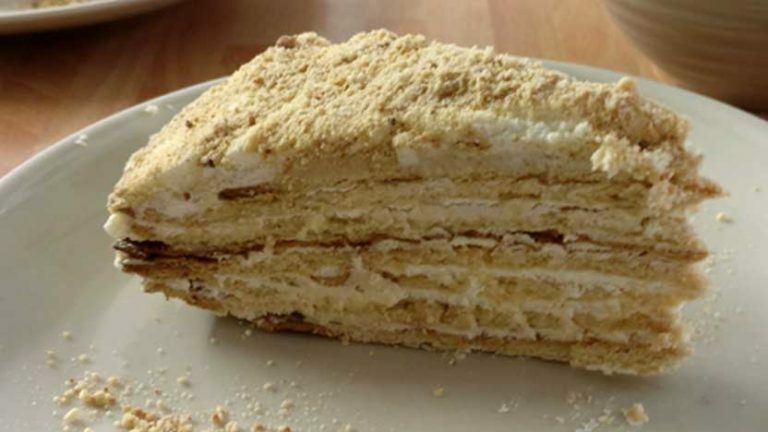 Living in France complicated the recipe for my Russian Honey Cake and I had to make it from scratch. While there are easier options, I found this one most resembled the shop bought creams from home. You will need to make up some butter milk first, this is great to have in you tool kit as it can also be used to whip to oume crème fraîche. Simply add one tablespoon of lemon juice or white vinegar to a cup of milk and let it sit for 5 to 10 minutes. It’s ready to use once it’s slightly thickened. From my efforts its never been quite as thick or tangy as the store-bought buttermilk, but it makes a great tangy substitute. Add 2 to 3 tablespoons of buttermilk per cup of your heavy cream and leave it sitting at room temperature for 1 to 2 days. Don’t worry about the cream going bad, the acid in the buttermilk protects the cream against bacteria. Once finished it should last about a week in the fridge.